Oct 04, 2009 when I attended mass at Sto. Rosario Parish. I was surprised to know that the patron Saint of this church, Our Lady of Rosary celebrates her Feast Day every October 7. 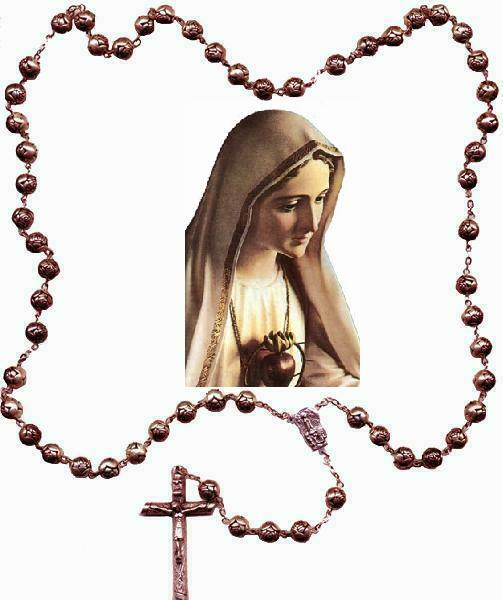 Candidly, I am not familiar on her feast day although I constantly and completely pray the holy rosary every month of October and every night as well even its not month of October. However due to tiredness oftentimes I overlook to say prayers. Hehehe..
Well praying the holy rosary every night especially for the whole month of October, has served as my devotion to mother Mary and considering my fist name (not only me, but all of my sisters) begins our name with Mary. 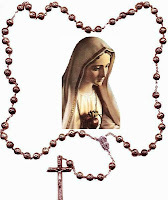 I have a belief that each time I uttered prayers to the Holy Rosary all of my desires and wishes will be answered by God because Mother Mary is my mediator. I still remembered how my Lola shares her childlike stories to us as we carefully listens and with wide open eyes on every word she spokes. I still recalled those days where she said that every Hail Mary we sincerely pray and say are like beautiful roses we offered above and will be received by Mother Mary. Those flowers will be kept and saved eternally. She always enticed us to attend the Flores de Mayo for which I meekly attend and feverishly look forward every year. With the colorful bannerettes and the flamboyant parade of Reyna Elena’s, each year was such an exciting month for me. Yet, nothing beats the reason why I attend this one month devotion. Simply because I love Mother Mary and God. Reminiscing my childhood days I recalled how my mother constantly woke us so early in the morning just to attend mass for 9 days straight. I recollect that instance how I keep on complaining because it’s too early for me to wake up. I end up snoozing while celebrating the mass. But then that specific tradition has molded my senses about the real quintessence of offering sacrifices. I was brought up by my parents that if you yearn for something you have to work hard and pray earnestly on that. 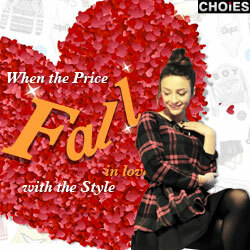 It will bring you as far on that dream you are inclining. Indeed every Misa de Gallo, I completely attended all the days without any lapses and absent despite the cold breeze enthralling me to go back from my bed and just miss the masses. Perhaps the eager to receive a special gift from God has provided me the courage to break out from my somnolent state every early morning. Whether God will endow me or not that gift I’ve been wishing for, still I strive hard to complete all my obligations every December. Certainly there are special prayers which God answered and I was on delight in wholeheartedly accepting it. Yet there are few which he never grants. Thou I’m so upset I still manage to shift my feelings to other altitudes. There’s a humongous reason why he by no means provide me that special gift. He might have other plans for me far better than what I have asked for. When I was ongoing college students, my devotion to Sr. Sto Nino has given me more meaningful moments in life. Perchance I graduated with flying colors in college because of my devotion to child Jesus. I have furthermore observed how strongly founded and deeply rooted the faith and belief of every Cebuano people. 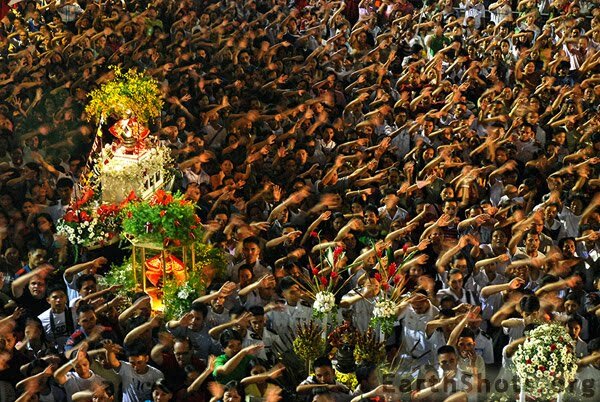 In no doubts Cebuanos are so blessed with countless blessings because of there concentrated devotion. I have learned by heart to always attend the 9 days novena for Sr. Sto Nino and commit to memory the songs every offertory “Bato Balani sa Gugma.” I also consign myself to always attend the procession every Saturday, a day before the Sinulog. 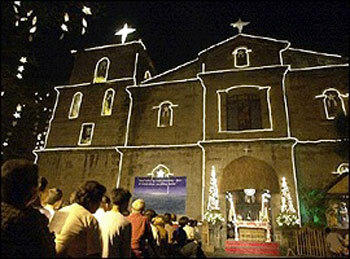 Right after the long procession around the City Center of Cebu, a mass is held in Basilica. I’m at times mystified by such strange feeling taking up on me while attending the anticipated mass. Tears slowly drifting from my eyes. So unique and strange yet I constantly encountered this bizarre feeling every time I hear mass on these precise Saturday. There you will also witness the extraordinary devotion wherein thousands of people will flock around the area just to be present at this mass. Last January was a remarkable and significant moment for me. I have witnessed an astonishing occurrence that has wowed me for a second. Rays of yellow light suddenly appeared above the sky surrounding the whole area of Basilica. For one week it was raining thou not as hard but skies are blurred and dark. Even during the procession, light rains continued pouring out but in good faith never soaked us to wet. Just the mass begun and all priest walks thru that aisle, right then these rays suddenly appeared. People were amazed and some even cried. They say Sto. Nino was just happy because despite the awful weather on that week people have sustained to attend the novena and say there prayers and offered a little sacrifice for the child Jesus. Just as the concelebrated priest has started the mass “Ang Ginoo ma ana kaninyo,” right then the sky becomes very clear and vivid. Certainly it was a Miracle. Perhaps my life totally revolves around these fine values. I don’t literally attest myself that I am a perfect person because of my concentrated devotion. I’m a prone sinner even thou how miles I run to elude persuasion from committing sins. Yet the core grounds of preserving the values of purity and morality has kept me grounded for years despite the winding temptations kept on alluring me. Like in every way prayers have become my strongest foundation, my strapping armor and decisive shield from the callous and earthly peccadillo. In a way prayers are only my microphone so God will continue listening on me and keep on journeying with me until the end of time. 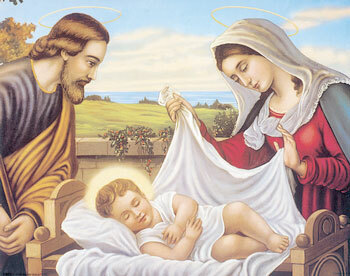 I love you God and Mother Mary and Baby Jesus.